An outlet, MOFE EMPORIUM, will tomorrow, Sunday, April 7, 2019 be opened in Osogbo at 4pm. The venue is Mofe Emporium House No. 44 Isiaka Adeleke Freeway Alekuwodo Osogbo. 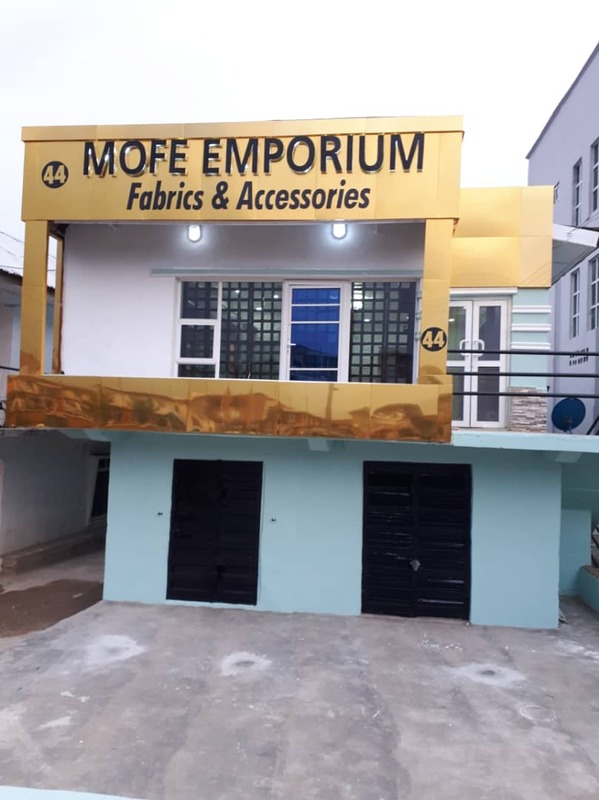 A release by the Chief Executive Officer of Mofe EMPORIUM, Mrs Funmilola Adegoke urged guests and entire residents of the state to take advantage of the special opening to patronise the outlet and get affordable clothing materials and jewelry. Mofe EMPORIUM deals with Fashion fabrics, quality men's Fabrics, Bridal jewelry, Ankara and Aso Ebi. Mrs Adegoke asked residents of Osogbo and Osun state at large to troop out enmmase and patronise the shop at Alekuwodo for latest in quality men's Fabrics ,Bridals jewelry,Ankara,Asoebi, and Aso oke and many more. The business woman assured her potential customers of less expensive wares that are, at thesame time, of high quality. She said, " nationwide home delivery is also available at Mofe EMPORIUM."